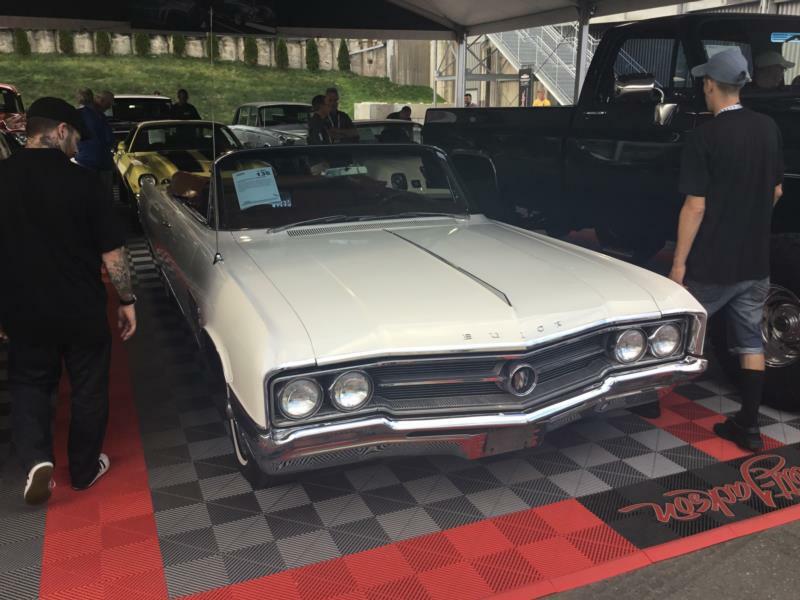 The Buick Wildcat first appeared in 1962 as the full-size Invicta’s sporty two-door hardtop and came with bucket seats, a vinyl top, special side trim, a tachometer, and dual exhaust. The standard engine was Buick’s 325-hp, 401-cid V-8, and the whole package costing $3,927, making it the most expensive Invicta. The trim line was popular enough that Buick made it a standalone model in 1963, when the Wildcat virtually replaced the Invicta line. In fact, the Wildcat line featured two-and four-door hardtop and a convertible, while the only Invicta body style left was a station wagon. The Wildcat became even sportier and more heavily optioned for 1963, and was easily recognizable by their unique grille and side trim, which involved a wide brushed aluminum panel on the front fenders and doors. Bucket seats were standard on the coupe and convertible, optional on the four-door hardtop and the cars had a center console. Automatic transmission was standard, as was a tachometer unless the car was ordered with a bench seat. Like all Buicks in 1964, the Wildcat gained some size and its body became crisper, with more character lines and a vee grille. Two optional engines were also added to the catalog, with 340-hp and 360-hp versions of the 425-cid V-8 joining the standard 325-hp motor. A pillared four-door sedan also joined the lineup, and unit sales of the model more than doubled from the previous year. Early Buick Wildcats are an interesting mix of performance and comfort, with engines that are more than ample for these full-sized cars, and a size that is actually smaller than a lot of other big offerings on the market during their time. Enthusiasts will want to look for a 360-hp two-door hardtop from 1965, though the first-year status and rarity of the 1962 model is also a great choice. All Wildcats are very solid examples of 1960s GM engineering, and they are very practical to own. Sound original examples still turn up in the market today, and they represent a great value.